Fatima Benhaddou is the new program manager of police department's federally funded Building Neighborhood Capacity Program. 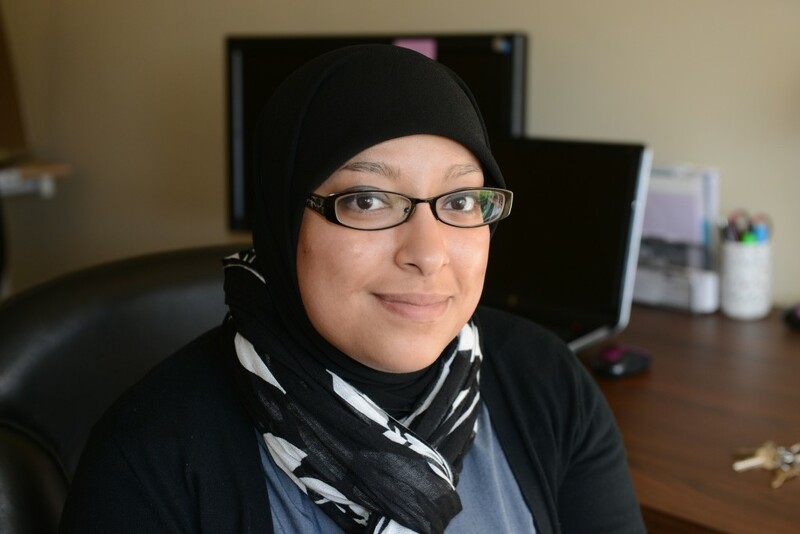 The Building Neighborhood Capacity Program has selected Fatima Benhaddou as its first program manager. Benhaddou assumed the newly created position on Feb. 16. A 2013 graduate of the University of Wisconsin Milwaukee’s dual master’s program in architecture and urban planning, Benhaddou has been working at the Dominican Center for Women as program coordinator for about a year. One of her duties has been to oversee the work of the BNCP site coordinator in the Amani neighborhood, and in that role, Benhaddou has worked with coordinators in all three BNCP neighborhoods, Amani, Metcalfe Park and Muskego Way/Clarke Square. She will continue at the Dominican Center as both its program coordinator and BNCP program manager. While still a graduate student, Benhaddou worked as a housing rehab specialist at ACTS Housing. With three fellow students, she created a neighborhood plan for Amani as a capstone project in her urban planning program. BNCP is funded by a federal grant that is matched by local foundations. The BNCP partnership is composed of the grantee, which is the Milwaukee Police Department; cross-sector partners including city and foundation officials, intermediary organizations and community-based organizations that serve as neighborhood anchors. Site coordinators, hired from within each neighborhood, serve as resident engagement leaders, listen to residents’ concerns, help them build the skills to address those concerns and become leaders themselves, and build alliances with all the partners. Since the launch of BNCP in late 2012, the executive committee of the cross-sector partners has worked with site coordinators first in the original BNCP neighborhoods, Amani and Metcalfe Park, and since the end of 2014 with Muskego Way/Clarke Square. But as the program has expanded and been extended for a second grant period, the committee decided to bring on a program manager to work with the site coordinators and all of the BNCP partners. 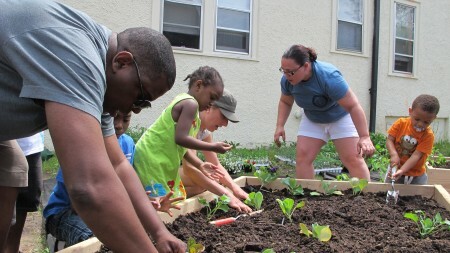 Susan Lloyd, executive director of the Zilber Family Foundation and a member of the executive committee, explained that when you have several organizations working in a neighborhood, “they really do need to know each other. They need to support each other’s efforts and coordinate with each other. “It requires someone like Fatima, who is trusted by residents and local organizers, and who is knowledgeable about how to work in neighborhoods, but who can also step back and see the big picture,” Lloyd added. Benhaddou said she knew early in her graduate studies that rather than working as an architect in a firm, her interests lay in preserving buildings and adapting them for reuse. She was also drawn to neighborhood work, she said. The first BNCP coordinators in Amani contacted Benhaddou, she said, because they were using her neighborhood plan as a reference for the revitalization plan they were working on. “With my background and my involvement in Amani, I really wanted to stay and help them make the plan,” Benhaddou said, but it was not possible at that time. Ultimately, her goal is to leave a foundation of residents who have the capacity, confidence and ability to determine what the neighborhoods need based on the challenges they see and what their neighbors say, Benhaddou said. Understanding that neighborhood organizations such as the Dominican Center and COA Goldin Center offer valuable support is also critical. Jumping in with ideas and advice to help residents figure out how to achieve their goals is irresistible to her and, “I was going to do it regardless (of my job),” she said. Another important responsibility will be to develop and begin to implement a sustainability plan for BNCP, said Lloyd. Benhaddou, with the help of others, will put together the plan for raising funds to continue the work in the neighborhoods after the federal grant ends. I would love to see a follow up story about her and this program in about 18 months to see what challenges she’s faced and what goals she has accomplished.